NEW YORK (TheStreet) -- Amazon (AMZN - Get Report) has forever disrupted the smooth and steady revenue once generated annually by back-to-school sales. In response, a handful of top retailers are trying new ways to fight back against the online giant and other discounters to win back some of those sales. Traditionally, back-to-school prompted Mom and the kids to head to the local mall sometime in August to buy school supplies for the coming year. That was before Amazon began offering cheap prices amid the convenience of online shopping. Today, many traditional retailers that once led the back-to-school buying are reducing prices on coveted items in an attempt to regain some of their lost market share. Walmart (WMT - Get Report), for instance, is offering savings deals, or "rollbacks," tailored to college students starting on August 1. On Wednesday, Bentonville, Ark.-based Walmart said it would reduce prices on products such as the Apple (AAPL iPad 4 with Retina display to $349 (originally $399). Other offers include the Beats Solo headphones for $169.95 (originally $199.95) and Roku streaming device for $39 (originally $48). Walmart said price rollbacks typically last for 90 days. Walmart had previously said it would offer reduced prices for younger students on at least 10% of back-to-school items compared to last year, and more than 2,000 items priced at less than $3. More than 400 deals will be featured on Walmart.com on Monday with an average of 35% savings on dorm decor, smartphones, tablets, clothing and backpacks, it said. Students' tastes have also changed as they wait to check out the latest styles at school before making the bulk of their apparel purchasing decisions. "Back-to-school is starting later and ending later," says Edward Hertzman, founder and publisher of Sourcing Journal, a publication that focuses on the apparel and textile industry. "People are staggering their purchases [as we become a] see now, buy now, wear now culture. We don't buy sweaters in July." The season is still the second-most-important selling period for retailers behind the period between Thanksgiving and Christmas. This year spending is estimated to rise 3.3% to $74.9 billion from 2013, which includes students in grades K-12 as well as college students, according to the National Retail Federation, a trade organization that represents large discount and department stores, specialty retail stores as well as Main Street retailers. Of course those retailers that don't have the breadth of an Amazon or a Walmart or the fashion assortment of a Forever 21, for instance, are struggling to lure customers into stores. Here's five retailers losing back-to-school market share. American Eagle Outfitters (AEO - Get Report) -- and frankly the teen space in general, which includes Abercrombie & Fitch (ANF and Aeropostale (ARO -- are typically the first retailers that come to mind on lost market share. All three mall-based companies are suffering sales declines as consumers shop more online and for more differentiated clothing items or accessories from more fashion-forward stores. "Teenagers want to look different now instead of looking the same," says Jharonne Martis, director of consumer research at Thomson Reuters. "Now the idea is to try and look as different as possible. Because of that Abercrombie, American Eagle and Aeropostale, which used to be the traditional winners, are losing market share." 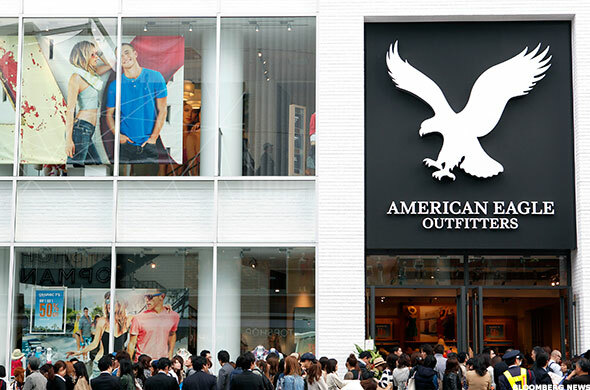 American Eagle's same-stores sales for the third quarter, which includes the back-to-school selling season, are expected to decline 3%, according to the consensus estimate compiled by Thomson Reuters. Experts say the teen sector is losing share to competitors such as H&M, Zara and Forever 21 that are able to "turn around fashion in a very fast environment, Martis says. "Every week you have a new look there and it's done at cheap prices." Retail expert Marie Driscoll says the trio of teen retailers are not only losing market share to other apparel stores, but also as consumers buy more shoes and accessories. "I don't think denim is really happening right now. I think people would rather go over to Steve Madden (SHOO and get another pair of shoes or Nike (NKE and get another pair of sneakers," Driscoll says. Staples (SPLS, once a definite store stop to load up on school supplies from oak tag to computer printing paper continues to lose share against Walmart and Amazon, but even to drugstore chains like CVS Caremark (CVS. Same-stores sales for the third quarter, which includes the back-to-school selling season, are expected to decline 3.3% in its North American stores, according to the consensus estimate compiled by Thomson Reuters. The company is undergoing a restructuring plan meant to shift focus to e-commerce and more business-to-business products. 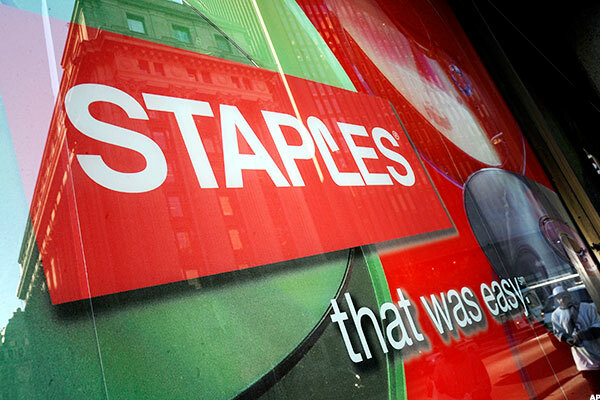 Staples has been closing stores as part of that plan. "Big-box office supply companies like Staples ... miss the mark when it comes to back-to-school shopping," writes Gary Lee, president and CEO of InReality, a retail customer experience and store design firm in Atlanta. "They rely on deep discounts on a few key items to draw shoppers in to the store. The missed opportunity for stores like Staples and OfficeMax (OMX are to work with school systems to pre-package everything a kid needs (perhaps at a surcharge) and ship to the home or in-store, helping avoid the underwhelming customer experience of retail at the start of school." Robert Passikoff, founder and president of Brand Keys, a consumer loyalty and engagement research consultant, agrees. "Why would you buy a pack of pens at Staples than CVS if you're in CVS anyway?" he says. If the answer is that they were cheaper, "that turns you into a commodity," Passikoff says. "If all you're doing is [competing] on price than you are a commodity. CVS is offering a better value." Today's students are probably a part of the most tech-engaged demographic, which should mean good things for the likes of Best Buy (BBY - Get Report). However, the company is facing strong price competition from Amazon, Walmart and Target (TGT. The young tech enthusiasts are also heading to hipper Apple stores to check out and test the latest tech gadgets. To bring and keep customers in stores, Best Buy has partnered with Sony and Samsung to create stores within stores. It's also matching prices in order to keep customers from using its more than 1,000 stores as showrooms, a term that suggests customers are coming into to stores to test out products, but ultimately buying them cheaper elsewhere or, likely at Amazon. Best Buy warned in May during its quarterly earnings conference call that its sales outlook over its fiscal second and third quarters would be lower as consumers pull back on purchasing electronics -- namely computers -- but also await new mobile phone product launches. Best Buy CEO Hubert Joly told re/code in an interview published this week that tablet sales have been declining over the last few months since consumers aren't rushing to replace their tablets each year. On a bright note, "the laptop has something of a revival because it's becoming more versatile. So, with the two-in-ones, you have the opportunity to have both a tablet and laptop, and that's appealing to students in particular. So you have an evolution. The boundaries are not as well defined as they used to be," Joly said in the interview. 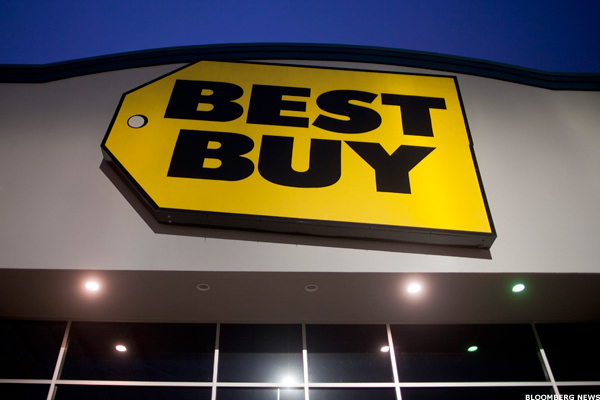 Best Buy's same-stores sales for the third quarter are expected to decline 1.3%, according to consensus estimates compiled by Thomson Reuters. That said, the Apple (AAPL next generation iPhone is rumored to be coming in September, which should give Best Buy a lift. 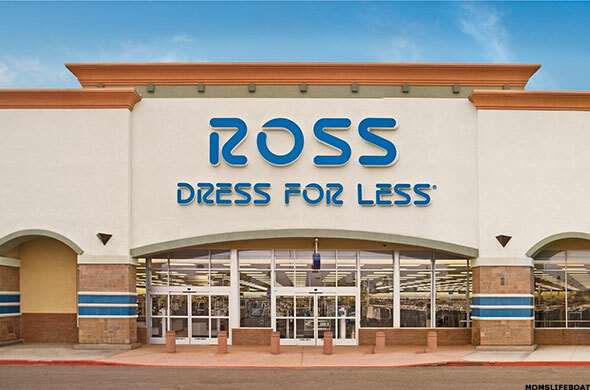 Taking a contrarian view, equity analyst Rick Snyder of Maxim Group, suggests that the off-price retailer Ross Stores (ROST - Get Report) is losing market share. He has a sell rating on the Dublin, Calif.-based chain. "I believe that their stores are saturated," Snyder says. "Given the fact that they differentiate on price, it's going to be very difficult to drive comps (comparable sales)." "They're entire strategy is based on pricing lower than Macy's (M - Get Report) and Kohl's (KSS - Get Report)," he says. "It's been a fantastic strategy, but now I believe their stores are saturated and no way to drive comps once you reach a ceiling in a market ... Off price is most dependent on traffic." Ross Stores doesn't feel that way. The company has a long-term target of 2,000 stores for its flagship brand, Ross Dress for Less (currently at 1,200 in 33 states) and 500 stores for its dd's Discounts brand (up from 144 at present). Last week it announced the opening of 23 stores and has a target of 75 for 2014. Estimates for Ross' same-stores sales for the third quarter expect growth of 2.4%, according to the consensus estimate compiled by Thomson Reuters. Yet, Snyder also specifically relates his argument to back-to-school sales. "For several quarters, Ross was the only retailer was reporting a good Juniors business," Snyder says. With retailers like Macy's ramping up their Juniors offering, "I think they're losing market share to full-price department stores." During the company's first quarter earnings call in May, Deutsche Bank analyst Michael Baker also asked about whether the J.C. Penney (JCP - Get Report) turnaround has impacted Ross Stores. CEO Michael Balmuth said the J.C. Penney improvement was "certainly not a plus." "We [tried] to quantify it when they weren't doing as well and we had difficulty quantifying it, but we knew it was helping. So really the answer to your question is we really don't have a precise answer," Balmuth said. He deferred further comments about it until the company's next earnings call (and getting through a quarter with warmer weather). Last but not least is Sears (SHLD. 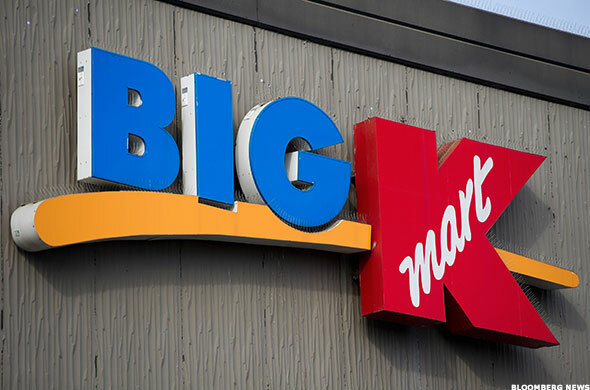 Both domestic Sears stores and its Kmart division have been losing share to other retailers. Suffering from losses, the Hoffman Estates, Ill.-based company is in the midst of a restructuring including store closures, selling Canadian stores and spinning off the Lands' End (LE - Get Report) division. Yet the company is looking to compete in back-to-school season. Along with its Shop Your Way app, Sears said this month that it was expanding its free in-store pickup service to include its more than 2,000 Kmart locations in the U.S.
Customers can purchase items like school supplies from Kmart.com and pick them up at the nearest Sears and Kmart stores. The company also launched a free "in-vehicle pickup" service, which allows customers to have online purchases brought to their car when they arrive at a store - guaranteed in five minutes. Sears is also partnering with Seventeen Magazine to offer the Seventeen Fashion Collection -- the teen magazine's first-ever apparel and accessories collection, retailing for under $50. But Martis of Thomson Reuters says the company's efforts are still not working. "Sears has tried to incorporate brands like the Kardashians that's still not helping sales," she says. For the third quarter, consensus for Sears' same-stores sales estimates a decline of 1% for its domestic stores and a 2% decline for Kmart stores, according to Thomson Reuters.